Why is your business name Lough Fern Studios? 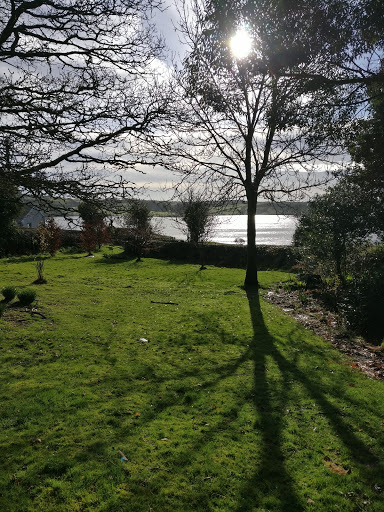 My business is called Lough Fern Studios because as you can see from the picture below I am situated on Lough Fern which is an amazing view that fills me with inspiration. Can you tell us how you became interested in making jewellery? 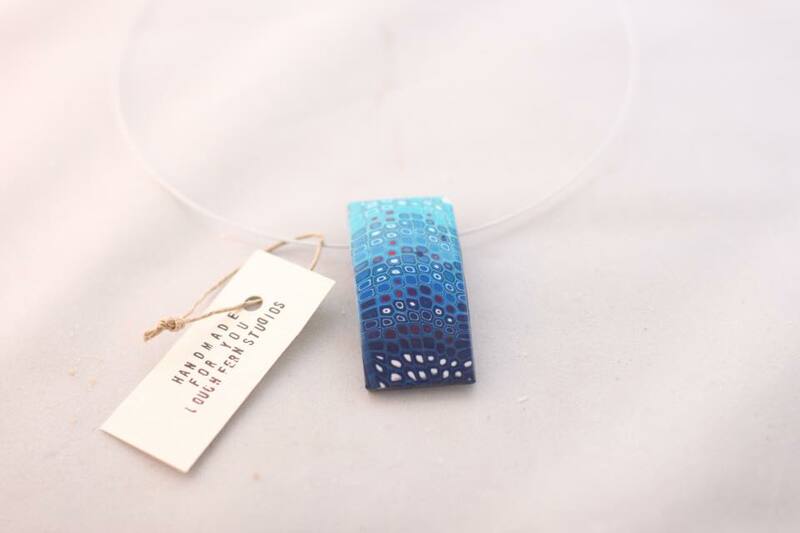 I started making jewellery when I was a student in Belfast. I sold it as a weekend street trader to make pocket money. 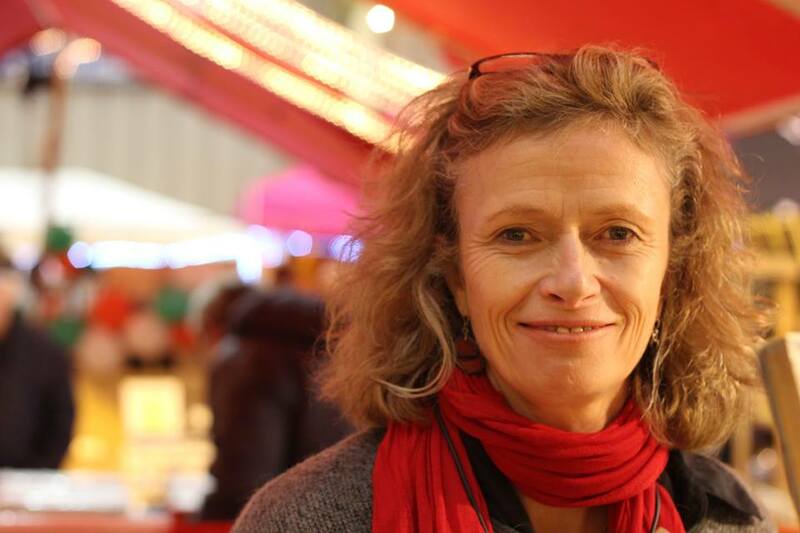 After taking a 25 year break to do a ‘real’ job in social work I came back to my passion. My jewellery is made from polymerclay. 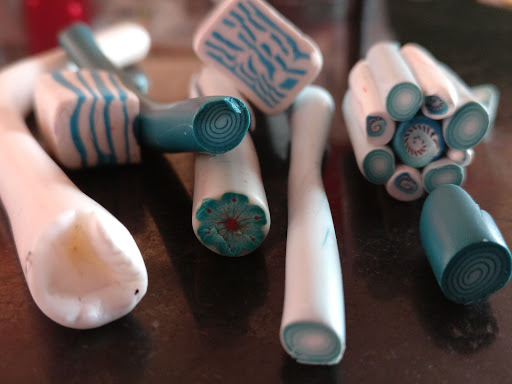 Over the years polymerclay has advanced and new techniques are always emerging. 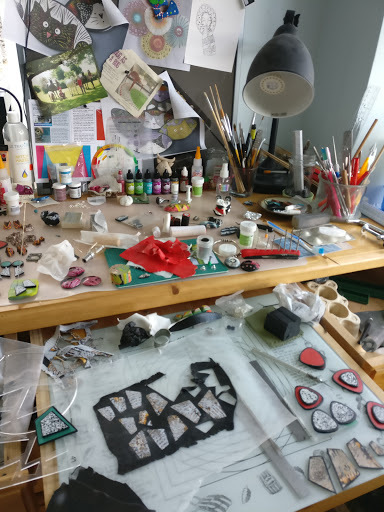 The polymerclay community in Ireland is very small, but I take part in annual trips to England to meet other artists and attend workshops with world acclaimed artists. What tool could you not do without? My most important tools are my pasta machine, which conditions my clay, my oven which bakes the clay and my sanding papers, all 7 grades which create the finished product. I never really know what my finished product is going to look like. I love the creative journey which often starts with one idea and ends up with something even better! You joined SPM in May 2016, what does the market mean to you as a stallholder? Being a stallholder at the SPM allows me to interact with customer, in this day and age of internet shopping it can be very isolating as a creator. I love the interpersonal experience of interacting with the real customer, sharing how I work and receiving feedback.